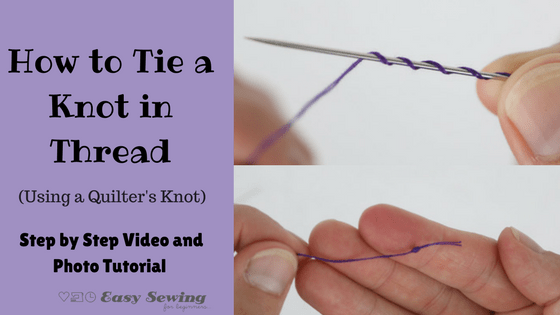 How to tie a knot in thread using a quilters knot video tutorial and photo tutorial! 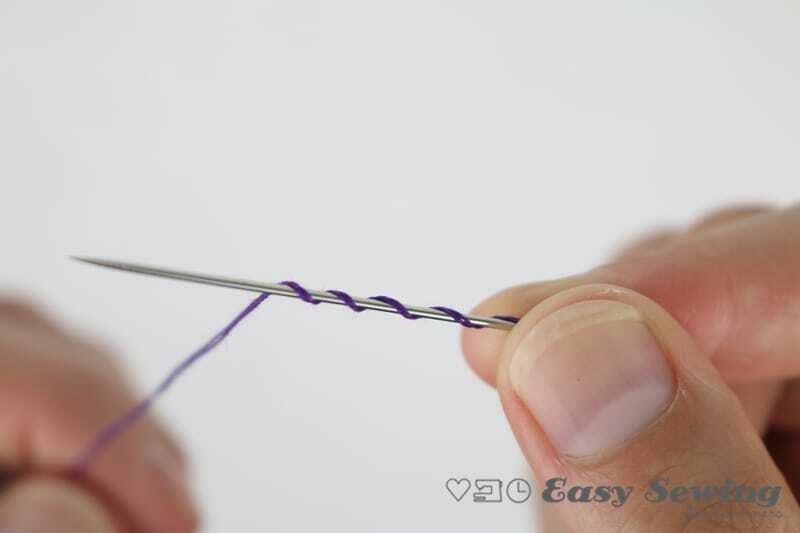 This tutorial will be showing you how to tie a knot in thread using a quilter’s knot. 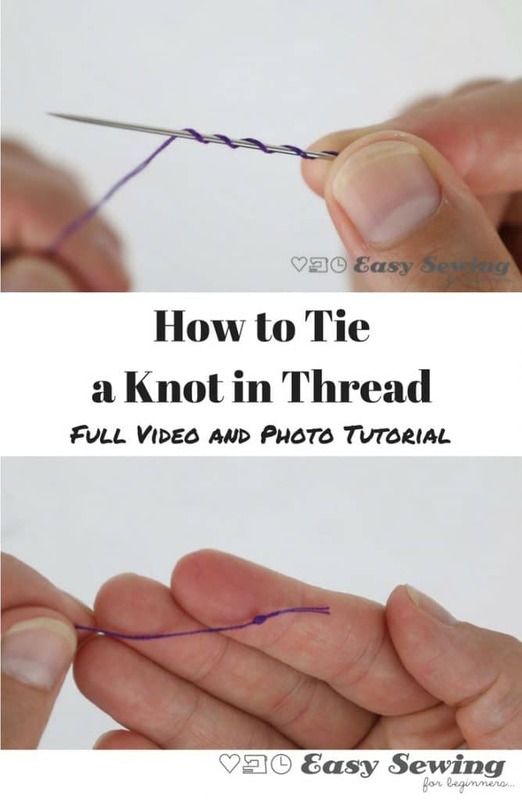 This knot is so fantastic because you can make a small knot or a larger knot by doing one part of the technique slightly different. Once you know how to do it’s very easy! 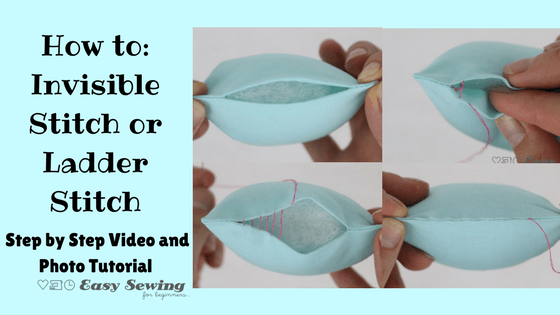 I’ve created a video tutorial for this one (it was one of the first video tutorials I made, actually) because the instructions can be confusing even with great photo instructions. Once you know how to do this knot and have a bit of practise at it, you’ll use it for all your knots in thread. I’ll be showing you the left handed way as well as the right handed way. I had to practise the right handed way to get it down pat for the video! Here’s a Sneak Peak of the photos from the tutorial. Keep going if you would like to check them out with the full instructions. Ok….let’s get going with the tutorial then! 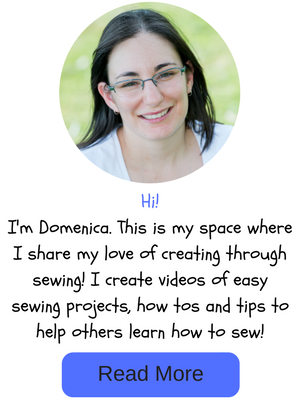 Here’s my recent tutorial for how to sew a ladder stitch. 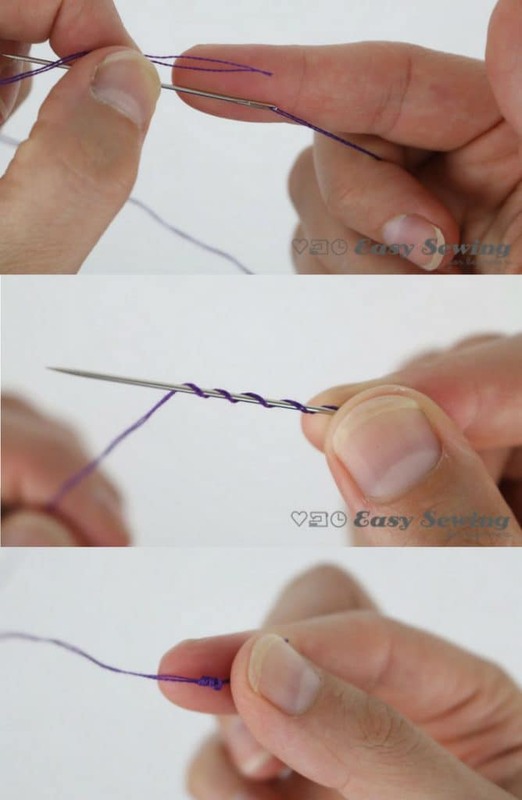 One of the most useful and practical stitches you’ll need! or watch the quick video version on YouTube. Thread your needle. I like to double my thread over so the tails are at the end together. 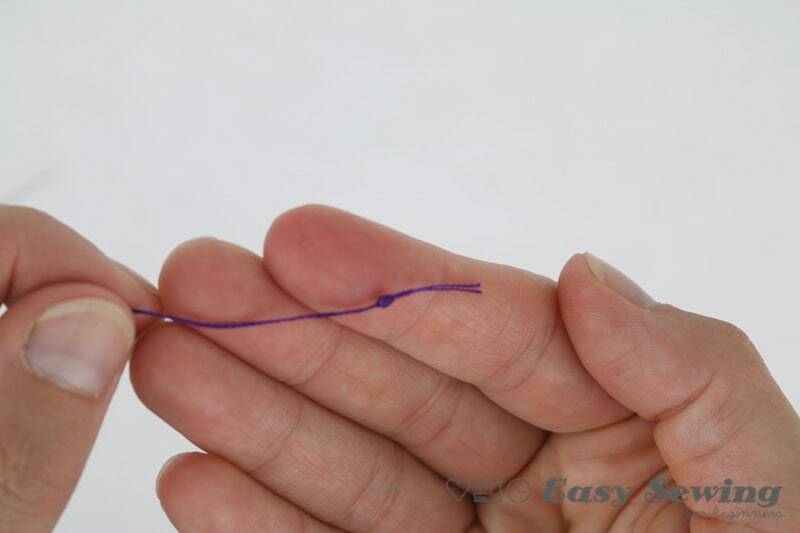 Hold the thread tail/s between the tips of your index finder and thumb on your non preferred hand. 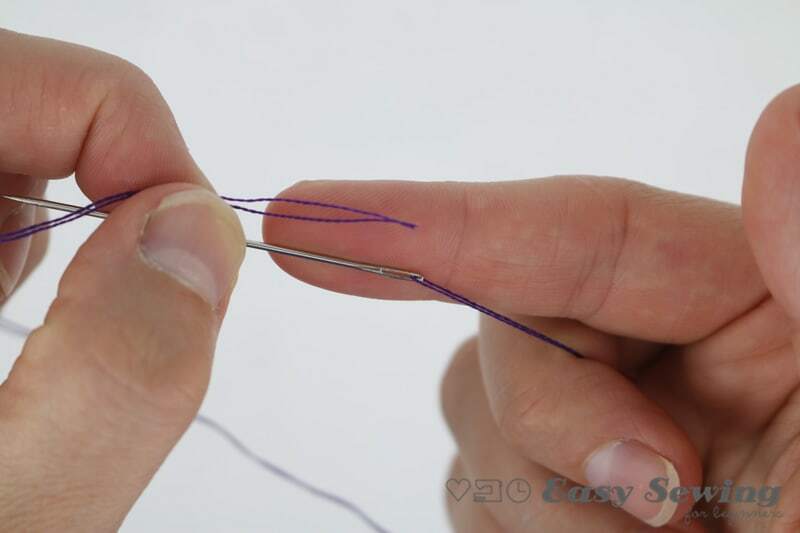 Ensure the tails of the thread are pointing towards the palm of your hand. Place the eye of the needle between your index finger and thumb, I like to have the eye of the needle below the thread tails. 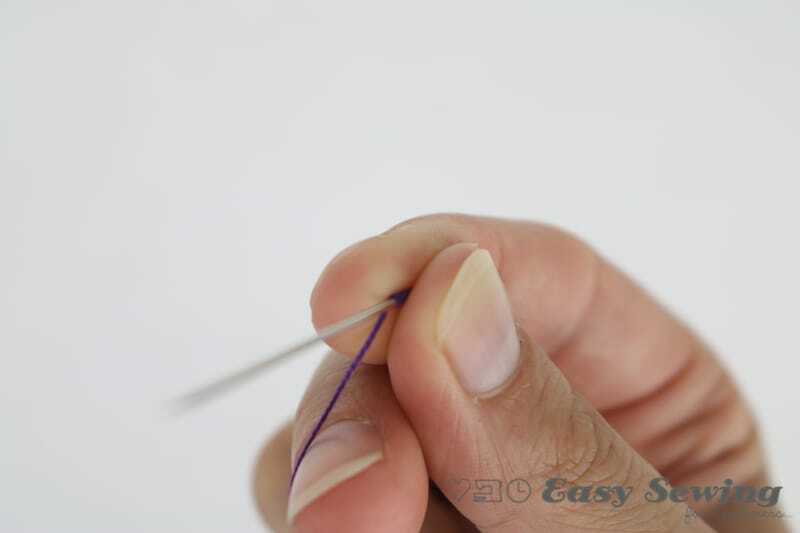 Now you should be holding the thread tails and the eye of the needle between your index finger and thumb. The tip of the needle should be pointing in the same direction as your finger. 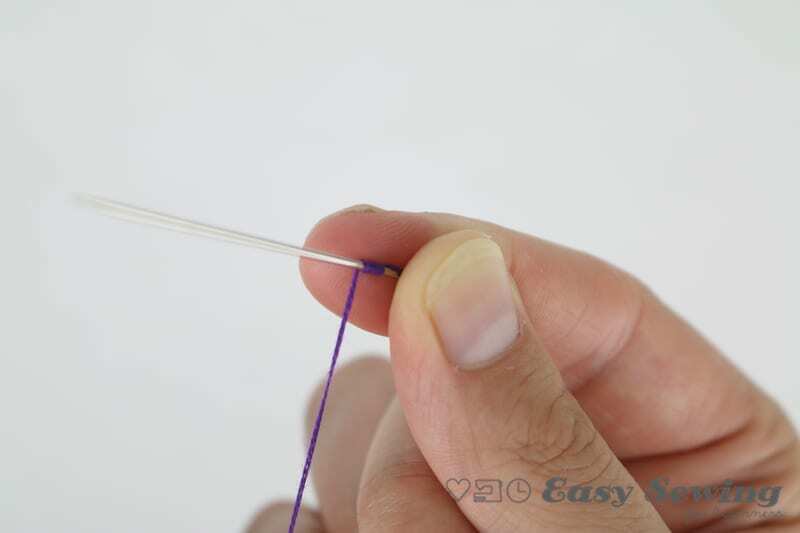 With your other hand, grab the thread closest to the thread tails and wind the thread around the needle. The more winding the bigger the knot at the end. N.B. Don’t wind from the thread closest to the eye of the needle. This technique will not work if you do that (I learnt that the hard way!). 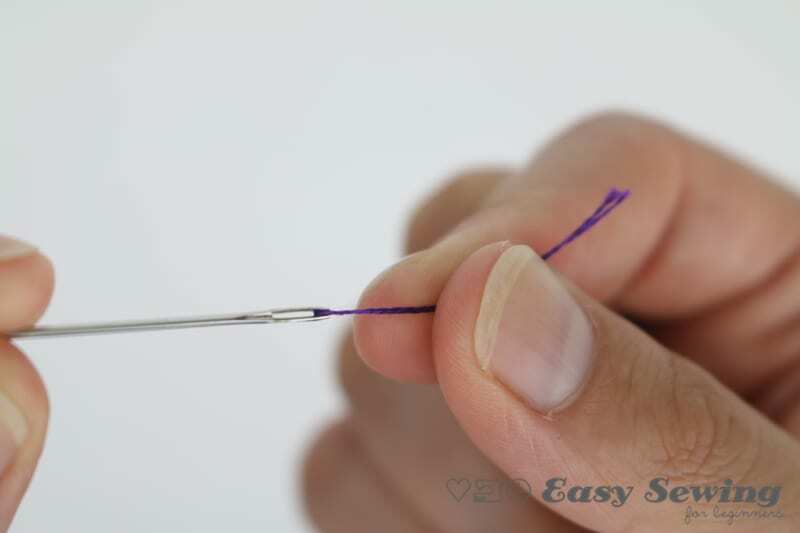 Keeping ahold of the thread tails and the eye of the needle, pull the wound thread down the needle so you can hold the wound thread between your index finger and thumb. 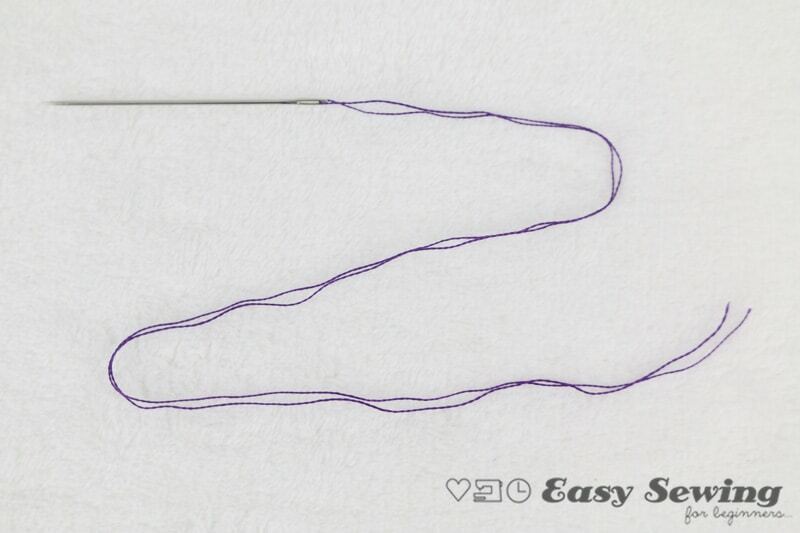 Try to keep the wound thread tight, but loose enough so you can slide it down the needle. This can be the tricky bit! While holding the wound thread, gently pull the needle and the thread will follow through. You can’t see it in the photo, but the rest of the thread is behind my thumb ready to be pulled through. When you get to the end of the thread let go of the wound bits of thread, but keep ahold of the thread tails. Gently keep pulling until the knot is tight. And you’ve tied a knot in thread using the quilter’s knot! Was that easy to understand? Did this work for you? Leave a comment below to let me know how you went with this.